Here at von Trapp Farmstead we believe that fostering a relationship between the consumer and the farmer is the best way to re-localize our food system. We offer local, affordable, pasture raised meat to all in our community. On this page you will find details about our beef and pork along with an explanation of how our monthly meat service functions. We offer a once monthly meat package that is a flat rate of $100 for 12-15 lbs of whey fed pork and organic beef. Once a month, we send out an email to our customer list that describes the products and quantities we are offering. The mix of products we provide is slightly different each month, so that's why we allow our customers to choose whether or not they want to purchase the meat mixer for the month. Anyone interested in purchasing the monthly offering needs to reply to the email to secure their selection. The program runs on a first-come-first-served basis and there is a limited quantity each month. We then have on-farm pick up times. This brings us to 13-14 lbs of local, pasture raised meats all for just $100! Our pastured, whey-fed pigs are a vital part of our regenerative farming practices, helping enrich our fields for future grazing while utilizing healthy products that would otherwise go to waste. 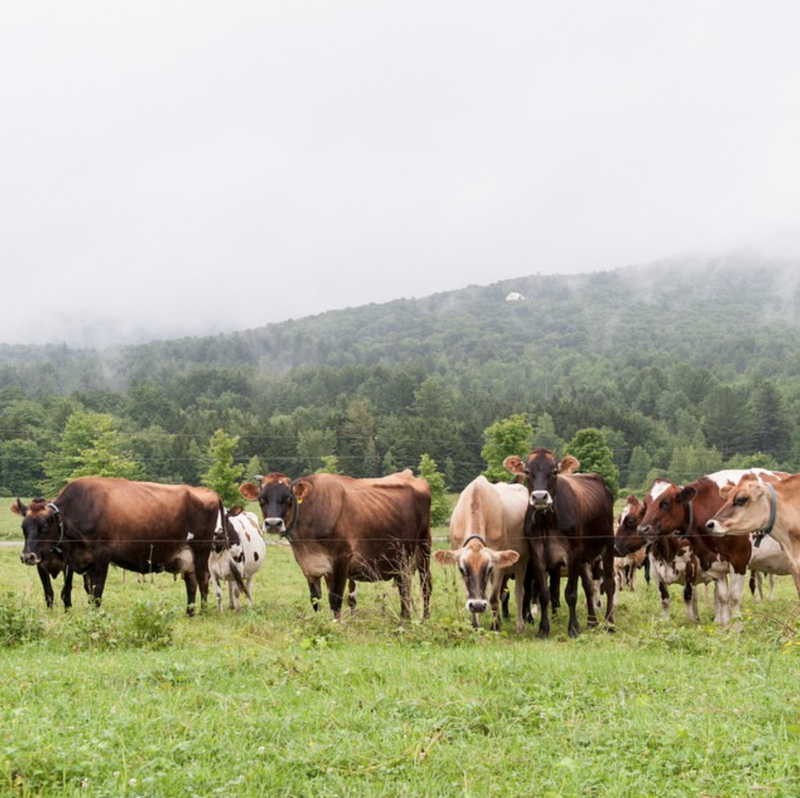 Along with the organic whey from our cheese production, they eat spent brewing grains from Lawson’s Finest Liquids, leftover breads from Red Hen Bakery, and other vegetable and grain byproducts from local food production. Their diet produces distinctive, flavorsome meat with rich fat and savory maple notes, which we sell in many cuts and process into bacon, fresh sausages, and cured salami. You can find our cuts for retail sale at the East Warren Market or by signing up for our monthly meat share, THE MEAT MIXER PROGRAM! 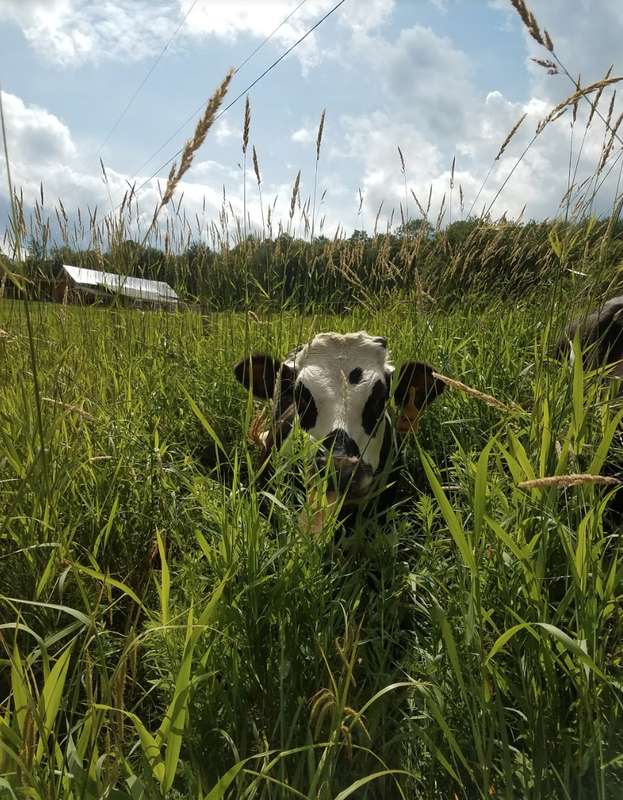 Our herd of certified organic cows are raised on the farm's organic pasture with supplemental grain and we breed for improved milk components and foraging ability. By the end of their milking careers, years of grazing has given our beef a full-bodied, mature flavor with superior marbling. Our herd includes genetics from a range of heritage dual-purpose breeds: Jersey, Ayrshire, Montbeliarde, and Normande. Savage Salami is a unique cured sausage made with our pasture raised, whey-fed pork, and Savage, our organic alpine-style cheese. Much like a Spanish chorizo, Savage Salami incorporates plenty of ancho chili, which is tempered by the nuttiness of the cheese for a profile that is tangy and boldly spiced but not spicy. Complement Savage Salami with tart fruits, buttery cheeses, candied nuts, and dry, earthy wines. Savage Salami can be found in specialty cheese shops and food co-ops all across New England and the New York area. It can also be purchased directly from us at Farmers Markets and Mad River Taste Place in Waitsfield VT.
Our Saucisson Sec is a naturally dried salami produced from our pasture raised, whey-fed pork. With classic black pepper and garlic seasonings and a natural casing, it offers rich, complex, meaty flavors with a pleasant fruity funk and clean pepper bite. It pairs beautifully with farmhouse ales, lush IPAs, or aromatic white wines. Accompany with fresh bread, honey or apricot mustard, and, of course, farmstead cheeses!